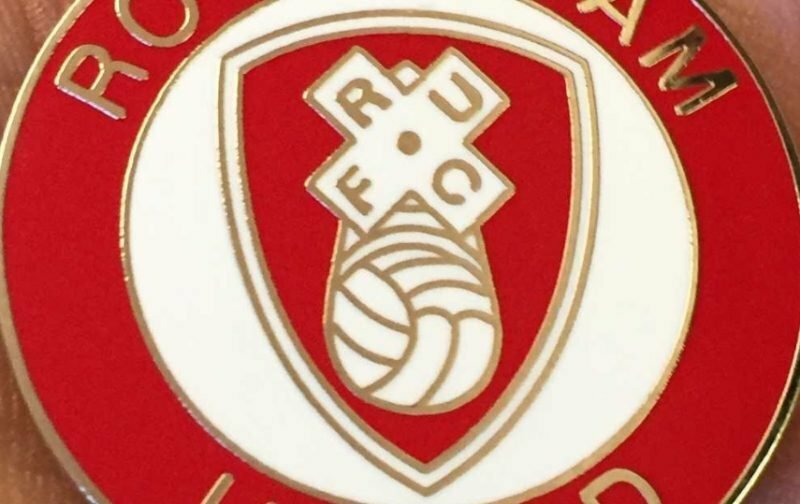 Rotherham United came from being one down against Fleetwood Town to be the winners in a five goal game at the New York Stadium this afternoon. The game began with a minutes applause for former England skipper Ray Wilkins who sadly passed away earlier this week. Playing at right-back this afternoon Will Vaulks was thankful for Semi Ajayi after his wild pass found Fleetwood’s Conor McAleney with Ajayi getting the ball away for a corner which came to nothing. But the Millers didn’t take heed from this and on five minutes found themselves one down after an Ashley Hunter corner found the head of Ashley Eastman whose header could only be chested out by Millers’ ‘keeper Marek Rodak with Eastman getting the rebound and put the ball in the back of the net to give the visitors the lead. Minutes later an Anthony Forde ball in towards Matty Palmer was just a little high before Michael Smith saw a header go just wide. On twelve minutes the Millers got a deserved equaliser after a superb cross in from Joe Newell found Forde whose shot came off Nathan Pond fooling former Millers’ ‘keeper Alex Cairns and going into the net. The hosts were on top after the goal with Palmer having a shot pushed away by Cairns and David Ball seeing a shot go wide. The Millers had a shout for a penalty when Ball appeared to be pushed to the floor in an off the ball incident but referee Carl Boyeson didn’t react. Smith had a shot at goal which deflected off Pond for a corner with Smith being involved moments later when he tried to charge down a clearance from the visiting ‘keeper which saw the ball go out. At the other end Paddy Madden got past his marker but saw his shot go wide with everyone in the ground being surprised when Mr Boyeson gave a corner which came to nothing. Cairns had to be on his mettle to get the better of Richard Wood and palm the ball away to safety before a Richie Towell shot from outside the box was deflected away by Cian Bolger for a corner which found the head of Ajayi but went over. The second half was only a minute old when Rotherham got their first corner with Michael Smith heading it over. On fifty-one minutes the hosts took the lead for the first time when an Anthony Forde corner eventually found Matty Palmer who in turn found Joe Newell whose volley beat Alex Cairns finding the bottom corner of the net. But just three minutes later Fleetwood were back on level terms after skipper Richard Wood gave away a free-kick which Ashley Hunter took finding the head of Cian Bolger who gave Marek Rodak no chance making it two-all. At the other end Cairns did well to keep out a shot from Ball followed by a shot from Hunter which flew by Rodak’s goal. The Millers first sub of the afternoon saw Semi Ajayi replaced by Josh Emmanuel with Fleetwood replying by taking off Conor McAleny and Paddy Madden and bringing on Bobby Grant and Jordy Hiwula-Mayifuila. With twenty minutes to go Jon Taylor came on for Anthony Forde for Rotherham. Hiwula got behind the Millers defence sending in a shot for Jack Sowerby whose shot hit Emmanuel and went out to safety. At the other end another lovely cross in from Newell found Smith but his header went wide. The first yellow of the game went to Bolger who had bundled over Jon Taylor but the card appeared to be given for throwing the ball away in a tantrum. From the resulting Newell free-kick Richard Wood got hold of the ball and bundled it over the line to put the hosts back in front. David Ball was the last Miller to be subbed with Caolan Lavery coming on in his place with Fleetwood taking off Sowerby bringing on Wes Burns. Towell, Emmanuel and Smith all had chances with the tall striker hitting the post. A Taylor corner fell for Will Vaulks who saw his shot go wide before a Smith shot rattled the crossbar and went over which saw referee Boyeson get another decision wrong and give the Millers a corner which came to nothing. In time added on Burns got the better of Vaulks but Rodak, who hadn’t had a lot to do all game, did well to dive at his feet and send the ball to safety. A good win for the Millers this afternoon but they don’t make it easy for us Rotherham fans!